We have an update about Mass Mysteria for you, but first we wanted to make sure everyone knows about Firmament! 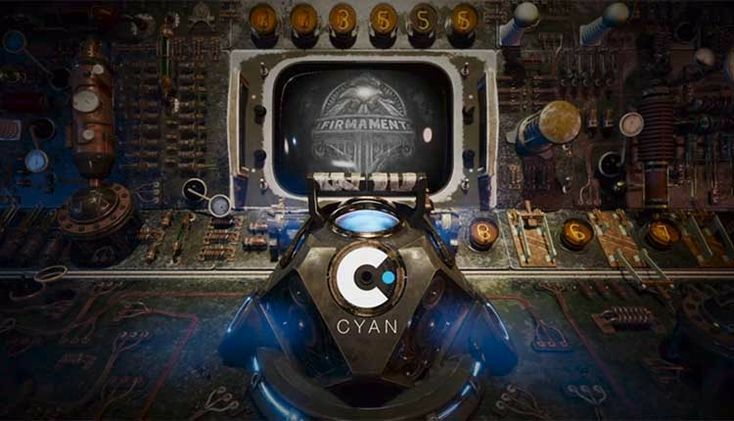 If you haven’t already heard, Firmament is an all new game from Cyan. 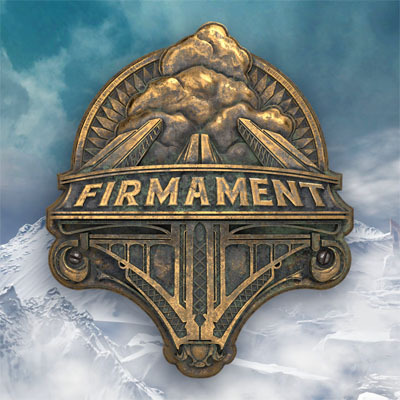 Firmament is currently on Kickstarter, and it needs your help! We all have 8 more days to get the campaign to its goal. It has a ways to go, but we can do it if we push it on social media. Be sure to tell your friends, and consider upping you pledge by a few dollars if you can. As Mysterium 2018 continues to approach, we wanted to share a few reminders and updates with you all. Our exclusive room rate is available for booking and extension until July 4th, which is only two weeks away! Visit the Location page for booking instructions. Please Note: When making your initial reservation, you will only be able to select a check-in as early as Friday, August 3rd and check-out as late as Monday, August 6th. If you will be staying beyond these dates, please complete this form after making your “base” reservation to request a check-in as early as Wednesday, August 1st or check-out as late as Wednesday, August 7th at our group rate. We understand this is a frustrating limitation of the booking process, but we hope the form will make this process as seamless as possible. When we have confirmed that your reservation has been extended, we will notify you via email. The change will also be reflected in your reservation confirmation details on the Holiday Inn website. We have finalized our schedule for this year. While there is potential for unforeseen changes to occur, we are confident enough to call this finalized. Head on over to our Schedule page to have a look. You’ll find some adjustments and a new event since we posted our draft a few weeks ago. This year sees the return of the Mysterium Unconference, our freeform discussion groups about anything and everything. In the past two years, we’ve had some fantastic conversations about Mystunderstood Villains, D’ni Infrastructure and Transportation, the Myst/Obduction Shared Universe, and more. However, we’ve all found it hard to come up with topics on the spot. To help facilitate the event this year, we invite fans to submit discussion topics ahead of the convention. Do you have any burning topics or theories you want to discuss? If so, please submit them using this form. Even if you are unable to attend this year, you’re welcome to submit your ideas. We can’t wait to see what you come up with! That’s about all we have for you this week. Have any questions? Looking for Room and Ride share discussions? Or just want to share your excitement for the convention? Be sure to join our Discord server or connect with us on social media. Next Friday, June 8th, marks the close of event submissions and Early-Bird and T-Shirt Registrations! If you haven’t yet registered, head over to our Registration page and sign up today! After June 8th, t-shirts will no longer be available to pre-order and all admission prices will increase by $5. Online registration will continue to be available at full price until July 20th. Additionally, we are still accepting event submissions until June 8th. If you have an idea for an activity, panel, or other event that you’d like to either host or see hosted, head over to the Events page and submit your ideas. In past years, we have relied on Guidebook to provide detailed event schedules to attendees. This year, thanks to our newly redesigned website, we can offer detailed schedule information from one central location and publish a preliminary schedule for everyone to see far earlier than we could previously. If you’re hoping to see more of what we’re planning this year before you buy that Early-Bird Registration, head over to the Schedule page to see our draft schedule. We also have a few exciting schedule announcements to share! Philip Shane, the documentary filmmaker behind Being Elmo, Einstein, and many other films will be providing an exclusive look into his current project, The Myst Documentary. If you attended Mysterium last year, you may have met or been interviewed by Philip. We are delighted to receive the opportunity to learn more about his filmmaking process and have an exclusive look at some of his raw footage. Please note that we are unable to stream or record this footage. You can only see it if you attend Mysterium! We are planning a group trip to the City Museum, an exciting, hands-on, indoor/outdoor exploratory experience just a few blocks away from our hotel. Inside the museum, you’ll find caves, slides, walkways, and tunnels that carry you around the building and over the streets. Tickets must be purchased in advanced via our Registration page to receive the group rate. As a reminder, our exclusive room rate is available for booking at our hotel until July 4th. Visit the Location page for booking instructions. We can’t wait to see you all this August! Have any questions? Looking for Room and Ride share discussions? Or just want to share your excitement for the convention? Be sure to join our Discord server or connect with us on social media.